For centuries in eastern Poland, massive buffalo have roamed the lush and fertile fields that are full of rich flowers and “Zubrowka” or “Bison Grass,” an herb steeped in intrigue, mystique and romanticism. High Society would celebrate hunting successes with a special vodka flavored with “Bison Grass,” in belief this would yield grand power, increase stature and youthfulness which centuries later had been banned from American shores. Distillers and chemists have been able to extract the essence from the “Bison Grass,” allowing vodka enthusiasts and cocktail aficionados to be captivated with this new aromatic vodka with a burst of freshness, bouquet of flavor on the pallet and silky smooth finish. Bak’s Bison Grass Vodka is the perfect celebratory spirit for the young stylish professional as well as the vodka connoisseur who’s looking to be enticed by authentic vodka. This revolutionary product is not your typical flavored vodka, rather a vodka rich in flavor. Zubrowka Bison Grass Vodka marries the nobility of old-world Eastern European authenticity with 21st century western style, mystique and romanticism. Mixologists and cocktail fanatics will be full of confidence, swagger, and passion as they mix up and romance there significant other with this seductive new addition in the vodka category. Bakon Vodka is a superior quality potato vodka with a savory bacon flavor. It’s clean, crisp, and delicious. This is the only vodka you’ll ever want to use to make a Bloody Mary, and it's a complementary element of both sweet and savory drinks. Bakon Vodka is also a great Bar-B-Q companion. Use it in a marinade or sip it chilled with a steak. The Meat and Potatoes… Premium quality, no joke. We start with superior quality Idaho potatoes instead of the random mixed grains that make up most vodkas. Our vodka is column-distilled using a single heating process that doesn’t “bruise” the alcohol like the multiple heating cycles needed to make a typical pot-still vodka. No tinge or burn on the tongue, no obnoxious smoky or chemical flavors, just a clean refreshing potato vodka with delicious savory bacon flavor. Want just a little taste of FORBIDDEN FRUIT? Then flavorful [Krā-zē] vodka, with just a touch of lemon-lime or berry liqueur, is sure to be your GUILTY PLEASURE. It's 50 proof, 25% alcohol by volume and 100% ALL AMERICAN, so you can have a HELLUVA good time… just about any time. Want to get REALLY [Krā-zē]? Add a shot of any flavor [Krā-zē] Vodka & Liqueur to a shot of our our ultra-premium 80 proof vodka on the rocks (1 to 1 mix) to get a 65-proof drink with the smooth [Krā-zē] taste and just enough kick. Pronounced juniper and citrus notes . Elegant and smooth on the palate . The long finish brings the aroma variety best advantage . His clarity and unique taste make the distillate the perfect partner for G & T and many cocktails . A few drops of water into the glass to bring the character of this distillate to their best advantage . 40 vol . alc . Dark shiny . Overweight and muscular with strong oak . Spicy , powerful and attractive in the nose . Fast overflowing with power . Lively and clear on the palate . Fruit and wood in an impressive balance . A few drops of water into the glass to bring the character of this distillate to their best advantage . 40 vol . alc . Bright auburn . Fruity and velvety by Pinot Noir Barrel . Feminine wine tones paired with masculine Single Malt in perfect balance . A few drops of water into the glass to bring the character of this distillate to their best advantage . 40 vol . alc . Get ready for Mardi Gras with Abita! We have their special release plus their "regular" line up in stock now! 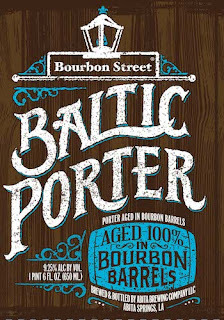 This Baltic Porter is brewed with pale, caramel and roasted malts. It is fermented at cooler temperatures to accentuate the malt flavors, which gives the beer its dark color and smooth, sweet roasted flavor. After fermentation the beer is cold aged for months before bourbon barrel aging begins. Bourbon Street Rye Pale Ale is brewed with pale and Munich malts as well as rye. The malts impart a sweet flavor and an aroma of bread and nuts. Centennial hops give the beer a pleasant citrus flavor and aroma. After fermentation, the beer is cold aged before bourbon barrel aging begins. During barrel aging, the brew absorbs the flavors of the barrel such a vanilla, oak, and bourbon. These barrel flavors pair well with the sweet flavors of the malted barley and bread flavors of the rye. 44 North - made from Idaho Potatoes! IDAHO® POTATO VODKA - all 3 of these vodkas are Gluten Free and made from Idaho Potatoes. 44º North Idaho® Potato Vodka is naturally gluten free and is distilled using a five-column distillation process from 100% Idaho® Burbank and Russet Potatoes, and blended with Rocky Mountain water from the Snake River Aquifer. As the first vodka approved to wear the Idaho Potato Commission’s official seal, our naturally gluten free Mountain Huckleberry Flavored Vodka is the ideal spirit for drinking chilled, straight-up, on the rocks, or in an infinite range of signature cocktails. 44º North Idaho® Potato Vodka is naturally gluten free and is distilled using a five-column distillation process from 100% Idaho® Burbank and Russet Potatoes, and blended with Rocky Mountain water from the Snake River Aquifer. Mountain Huckleberries are a high elevation wild berry and the state fruit of Idaho. 44º North blends them with Idaho® Potato Vodka for a rich, natural flavor. Similar to a peach, Nectarines are a “stone” fruit known for their fresh and crisp taste. They’re grown throughout the warmer temperate regions of both the Northern and Southern hemispheres. 44º North blends them with Idaho® Potato Vodka for a rich, natural flavor. Saint Angel is a triple cream cheese made from pasteurized cow's milk collected in Massif du Pilat (Rhone-Apls region). The cheese is square with a bloomy rind and smooth, creamy paste. This is one of our favorite relatively new cheeses. If you like brie, give this one a try, it is richer and creamier. Each store carries a different selection of cheeses. Check each store for details. Come in for taste. 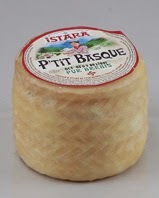 Petit Basque Istara comes in small cylindrical shape with a waxed rind. Has a smooth sweet and delicate flavor of ewe's milk. More distinctive taste than sheep Pyrenees. It carries though with a lovely olive, nutty and rich flavor on the finish. Great with read wine! Come in for a taste! Pleasant Ridge Reserve won first place at the 2010 American Cheese Society. The cheese is modeled after Gruyere and Beaufort and it is only produced from May through October when the cows are grazing on fresh grass. It is made from raw milk and aged a minimum of 6 months. 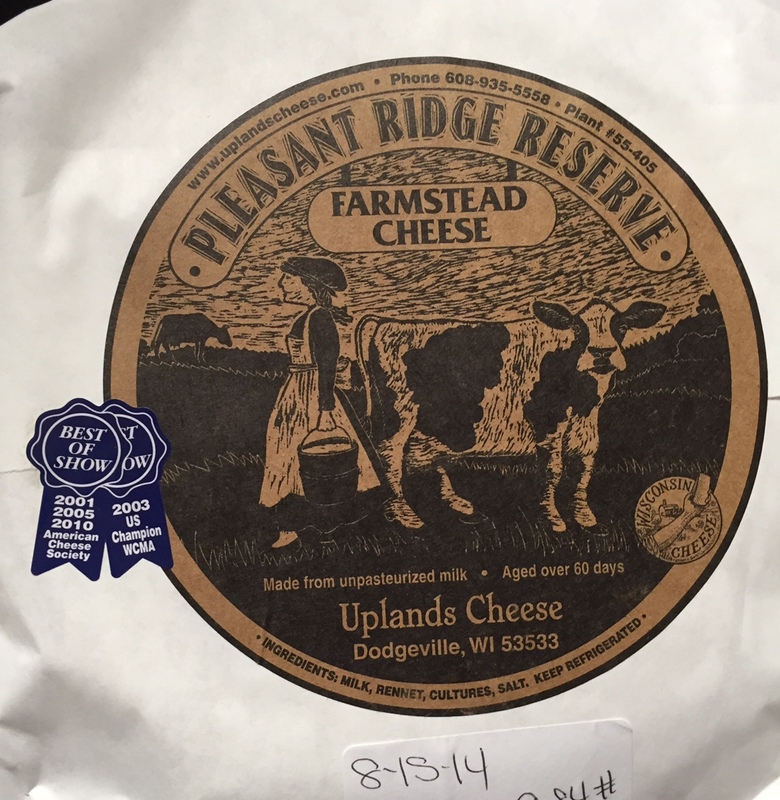 Uplands is a family run dairy from Wisconsin making great artisan cheese. Pleasant Ridge Reserve is the most-awarded cheese in American history, having won Best of Show in the American Cheese Society's annual competition three times (2001, 2005 and 2010), and having also won the US Cheese Championships in 2003. It is the only cheese to have won Best of Show three times, and the only cheese to have ever won both of the major, national cheese competitions. 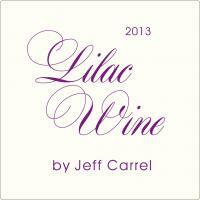 The 2013 Cotes du Roussillon Villages Lilac Wine looks to be spectacular. A blend of 47% Mourvedre, 29% Syrah, 13% Carignan and 11% Grenache that’s aged all in oak tanks, it offers a full-bodied, layered and beautifully textured feel to go with ripe blackberry, plum, licorice, earth and distinct minerality on the nose. Giving up lots of cedary spice, black fruits and licorice, it has a medium to full-bodied, rich, layered and savory style to go with excellent mid-palate depth, outstanding purity of fruit and integrated acidity. This is rock solid and a serious bottle of wine that delivers the goods. 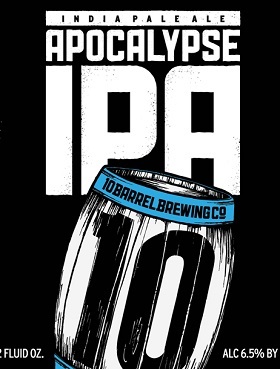 Drink it over the coming 4-6 years. This bottle is full of Temptation. Temptation Straight Bourbon Whiskey's enticing flavors having been precisely distilled with a well balanced blend of grains and then properly aged in new American charred oak barrels. Meet Joe Ipa, Formerly Sam, Named After The Hops Simcoe, Amarillo And Mosaic. Joe Packs A Full On Hop Punch In The Face. 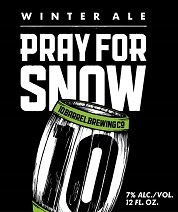 We changed this year's pray for snow winter ale by using five different malts and changed up the hops for a piney, herbal hop complexity. 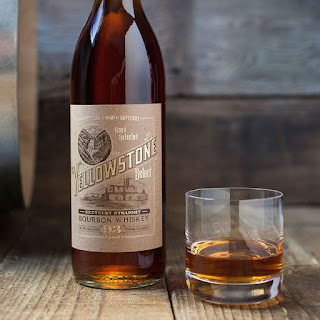 Yellowstone Limited Edition Kentucky Straight Bourbon, a marriage of some of the finest hand-selected bourbon available, celebrates the return of Yellowstone to the family of Limestone Branch founders Steve and Paul Beam – and the many fine bourbons to come. A true family affair, Yellowstone was born when my father’s grandfather, Minor Case Beam, sold his Old Trump Distillery to Joseph Bernard Dant, pioneer distiller and relative to my mother. I am proud to welcome the Yellowstone brand back to our family 105 years later with this perfectly smooth blend of the finest 12-year rye, 7-year rye, and 7-year wheated Kentucky Straight Bourbon Whiskey, lovingly bottled at 105 proof: the only way to celebrate this family legacy. 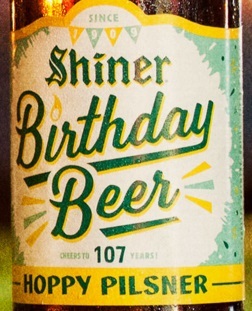 Celebrate 107 years of Shiner with our latest birthday beer, a limited edition brew that’s is true to our roots. This classic German-style Pilsener has an extra hoppy bite thanks to a heaping helping of Hallertau & Czech Saaz hops. Better enjoy it while you can - this birthday party won’t last forever. 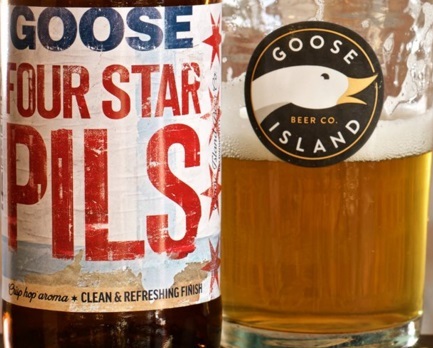 After tasting this beer, you’ll want more than just a fling. This copper ale is our way of saying “hello” to spring. It boasts the perfect balance between the malty flavors of German barley and the zesty spice of American hop, resulting in a crisp and refreshing brew with hints of nuts and honey. It’s the best cure for your spring fever. 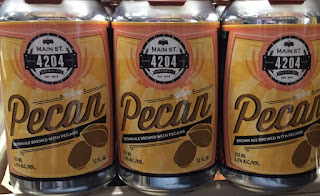 4204 Main St Brewing from Belleville Illinois!!! 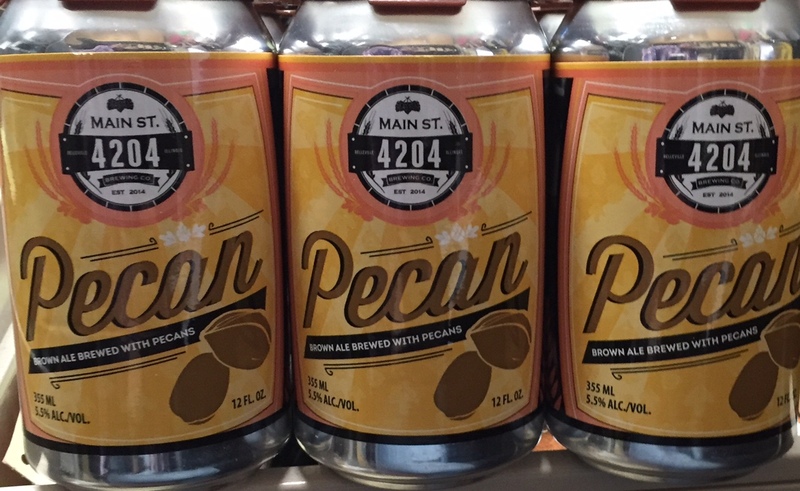 One of the house favorites featuring in house roasted pecans, a slightly sweet finish and incredible drinkability. We are sure you will go nuts for it. This Light bodied ale is perfect choice for every occasion. Just the right amount of malt and hops make this an infinitely sessionable brew. This West Coast Style India Pale Ale Features Legacy and Cascade hops. 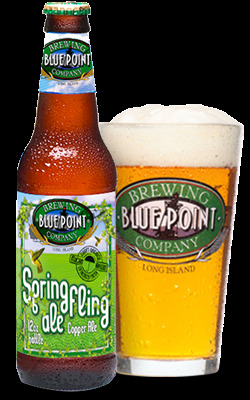 Dry floral hop notes upfront with a clean citrus hop finish. A traditional German wheat beer with a yeast forward flavor with notes of clove and banana. Super smooth with chocolate malt, coffee, and toffee notes. 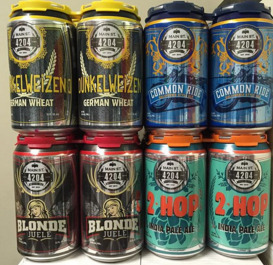 Fresh Odell Cans are back in stock!! 90 Point Pinot at a great price!